Your skin is sagging, wrinkles are forming and your hair is thinning – welcome to the aging process. That’s life. And you might as well resign yourself to it. Let’s face it, no matter what products and procedures you undergo, you can’t stop your skin from aging. But you CAN slow down the process and you can nurture your skin so it is healthier and looks younger, more supple and fuller. Forget Botox, pricey implants and plastic surgery. The low cost, non-invasive way is COLLAGEN supplements. When you think of collagen, you probably remember stories about celebrities and disastrous collagen injections and implants. Forget all that. The real benefits of collagen come when you TAKE IT INTERNALLY. Collagen is an amazing product that does wonders for your health and beauty. 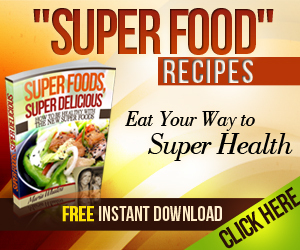 It is one of the most abundant proteins in the body. It’s full of amino acids and makes up a large part of your skin (70%), hair and nails. Collagen gives you thicker, more lustrous hair, youthful elastic skin, supple, stronger bones and the connective tissue throughout your body the ability to help hold everything in place. Improves Skin Elasticity: a daily dose of collagen reduces wrinkles and firms your skin. As you get older, it’s harder to produce collagen. The stress of modern life, poor diet and compromised gut health decreases your ability to produce it. The great thing is YOU CAN TAKE IT INTERNALLY and get the benefits! My favorite collagen supplements area. I hate injections and wouldn’t go near BOTOX or an implant but the RIGHT topical product does wonders! I take collagen supplements regularly, but I also have to plug MY #1 SECRET TO BEAUTIFUL SKIN – Dr. Susanne Bennett’s COLLAGEN MASK and PURIGENIX products. Dr. Susanne is a fabulous dermatologist and naturopathic physician whose skin care line is known as the go to products for plastic surgeons and Hollywood celebrities. This is definitely an investment but it is HANDS DOWN THE BEST I’VE EVER MADE for a beauty product and I turn all my BFF’s on to it every chance I get. I definitely look younger. My skin glows and I wear minimal or no makeup which I LOVE. And let’s face it, looking good makes you feel good! 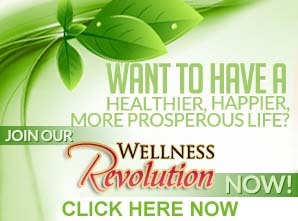 You will always get the special discount once you buy through the Wellness Revolution. If you just want a quick education about the secrets to great skin, sign up for Dr. Susanne’s video series in the pop up box. Make sure to wait for the pop-up! 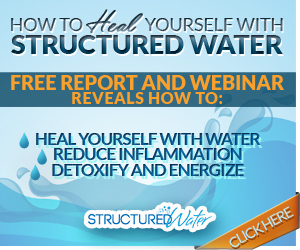 If you’re someone who likes to get the whole scoop, check out my interview with Dr. Susanne. Now you have everything you need for beautiful youthful skin. Wishing you optimal health and making the best of what you have.